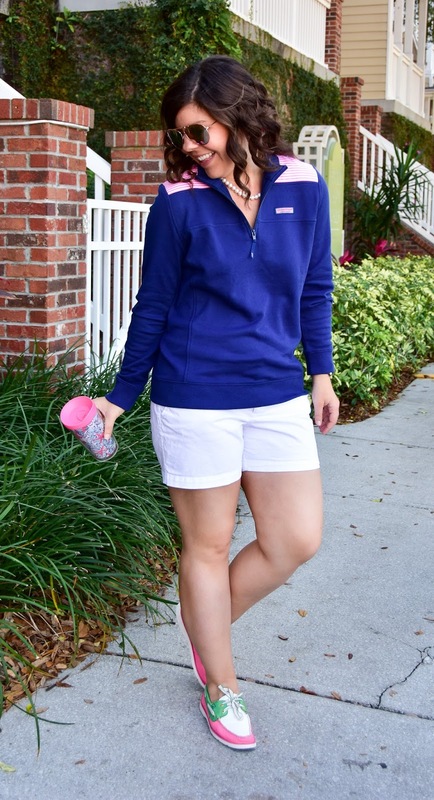 I thought my days of wearing sleeves were pretty much over (#FloridaProblems), but what do you know, a small cold front moved through this weekend and I’m taking full advantage by whipping out this comfy and preppy pullover from Vineyard Vines! 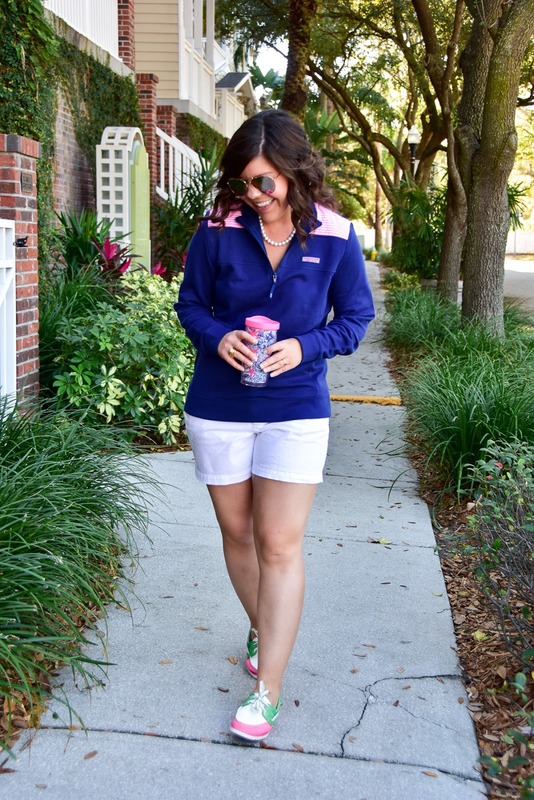 This look was giving me some serious nautical vibes, so I added my Sperry’s (a gift from my mama) and pearls for a full on prep-tastic look! ha. 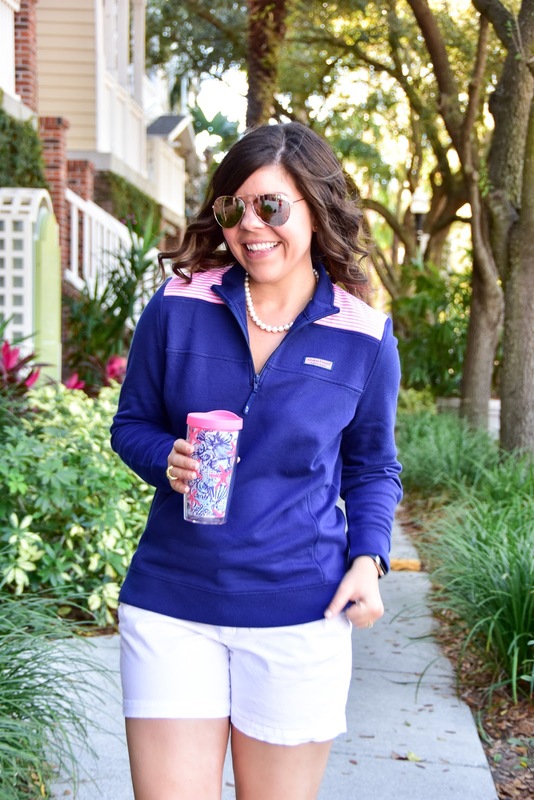 I don’t know why it’s taken me so long to get a VV Shep Shirt– it is so comfortable that I want to spend all my weekend days in it! Unfortunately the heat is on it’s way back, so I think my days are numbered in it, but I wanted to make sure and share it for those of you who still have some chill in the air! Next Post Dressing Room Diary + SALES! 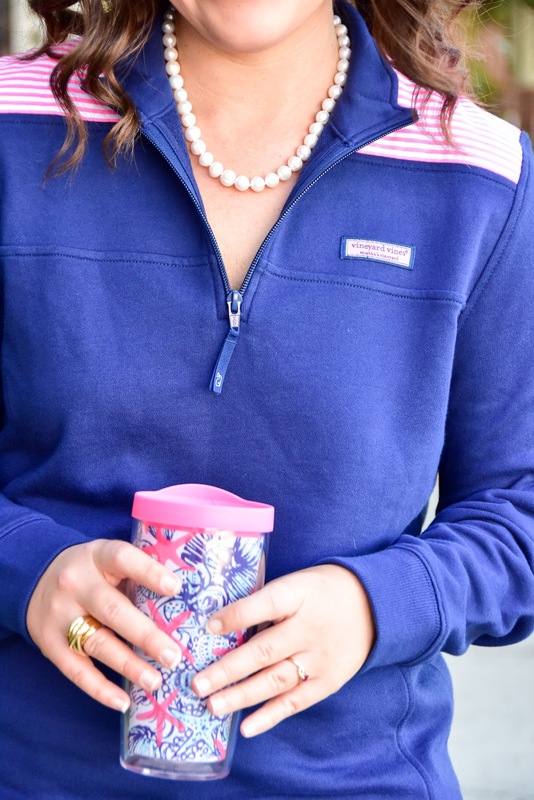 I love the preppy look! I love the shoes too, so cute! I love this pullover! It's so cute with the pinstripe detailing. Glad you had a nice trip to Gainesville. How fun that you got to speak!! this is one of my favorite looks of yours! 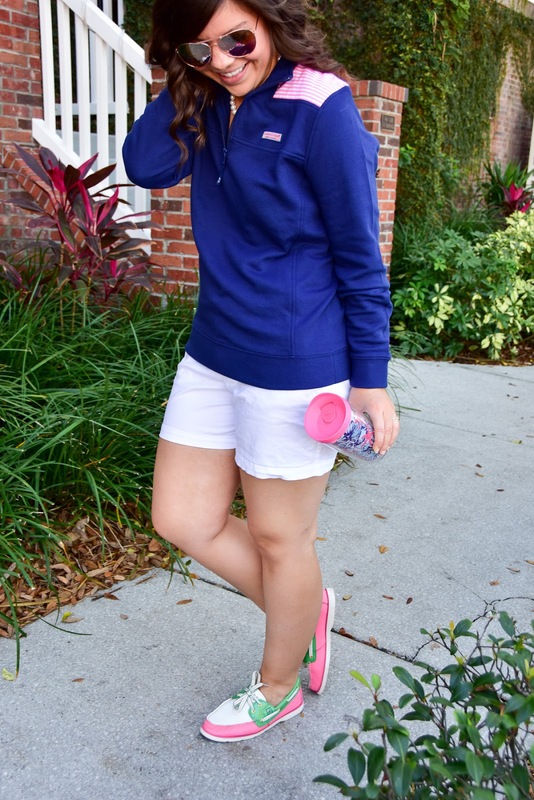 everything from the shoes to the shep shirt is adorable! 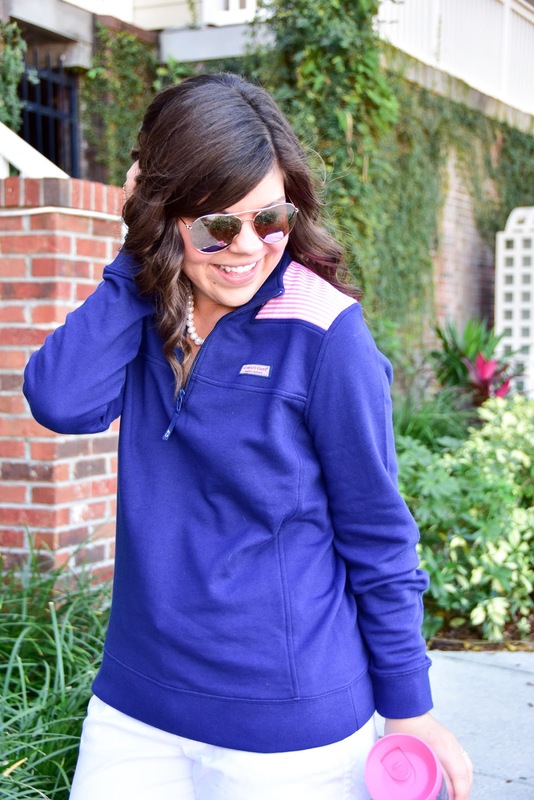 The VV pullovers are always so comfy and cozy! Love your sperrys! So pretty!! I love the bright colors! Give me anything with pops of pink and I'll be smiling all day! Omg look at you!! Too dang cute for words. 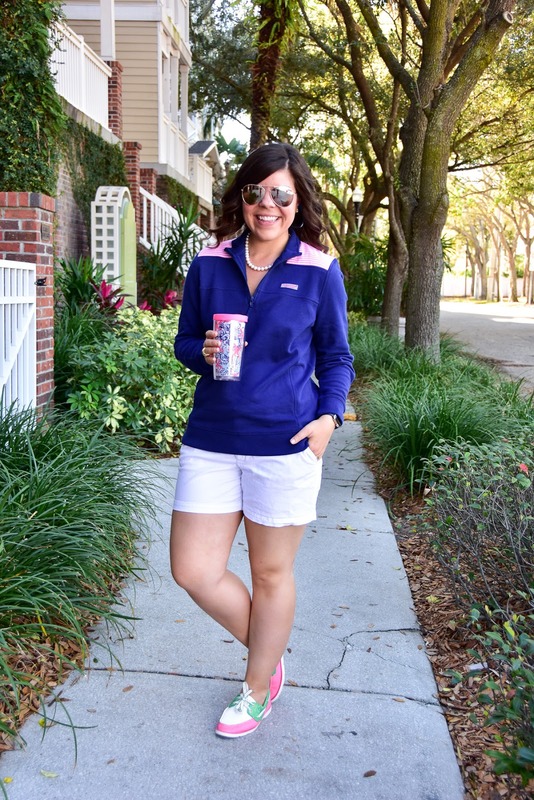 Love me some Vineyard Vines!!! 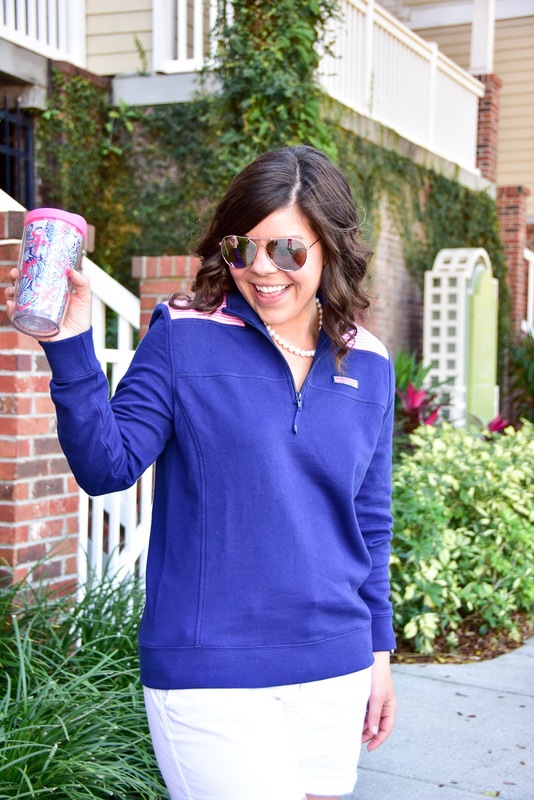 This pullover is SO cute!! 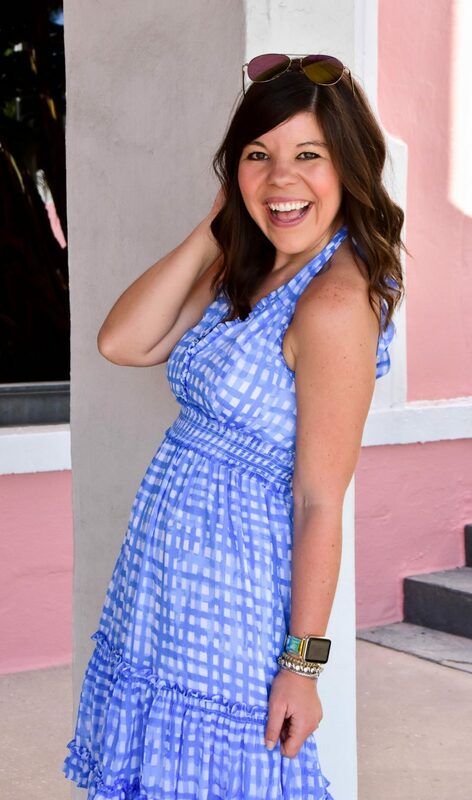 I love the pink stripes on the shoulders! That is a chic outfit great for a casual weekend. Your shoes are adorable too!